TOYOTA SR5 CREWMAX 4WD PICKUP IN EXCELLENT CONDITION WITH 5.7L V8 ENGINE, AUTOMATIC TRANSMISSION, A/C, TILT WHEEL, CRUISE CONTROL, POWER WINDOWS AND DOOR LOCKS, ALARM SYSTEM WITH REMOTE ENTRY, JBL STEREO SYSTEM WITH 6 DISC CD CHANGER, BLUETOOTH, BEDLINER, RUNNING BOARDS, TOWING PACKAGE, AND ALLOY WHEELS. CLEAN TITLE. TRADES ACCEPTED. MAY BE SEEN AT 3234 SE POWELL BLVD IN PORTLAND. 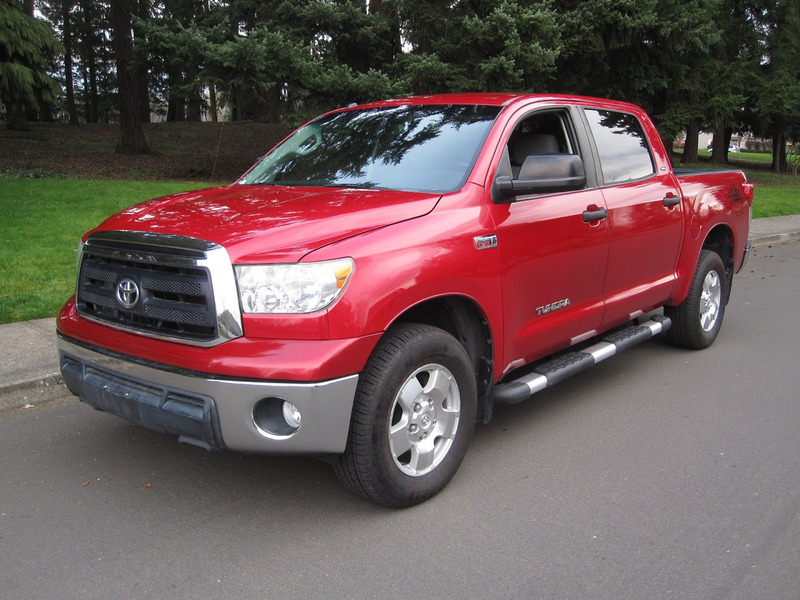 FOR MORE INFORMATION, OR TO SCHEDULE A TEST DRIVE, PLEASE CALL (503) 516-9364.